A few years ago, SMS marketing wasn’t a “thing.” The majority of the American population had never even heard of this marketing solution. At Slick Text, we’ve worked to develop industry awareness. We want every single small business owner to understand this tactic, and how to engage with customers via text. Well guess what? Our efforts proved to be successful. 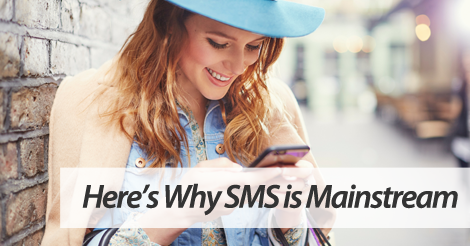 SMS marketing is no longer considered the “new kid on the block.” Hundreds of thousands of small business owners nationwide are using our service to engage with qualified customers, and here’s why. The open rate outshines that of similar solutions. Get this. 99% of all text messages are opened in five minutes or less. Want to hear something even more insane? 95% of all text messages are opened within five seconds or less. The average American looks at his or her phone 150+ times a day. Call it what it is, we’re kinda obsessed with our phones. Now are there negatives to this habit? Absolutely. But, in the case of SMS, it kinda works in your favor. Let’s be real. When was the last time you didn’t open or read a text message? Ask this question to our entire team, and no one can come up with a straight answer. We love texting. People love texting. It’s a good time to be SMS. Our SMS marketing service is second to none. Get this. We’re actually insanely passionate about text messaging. Partner up with top provider, SlickText.com. Give us a ring today at 1.800.688.6290 to learn more, or head over to the pricing page and sign up for your free plan. We love seeing our customers grow their business using our platform. We pride ourselves on innovation and education. You can trust that a partnership with Slick Text will yield long term success, and give you the results you need to be successful.